Palatine with a complete range of services and products. your problems from getting worse and necessary repairs more expensive. work, so call us now for fast garage repair service in Palatine. 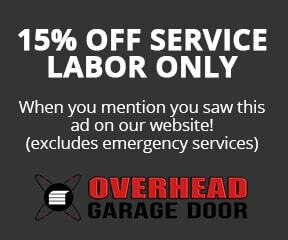 all of your garage door repair and installation needs. Call us today! Thank you! Matt did a great job! The door looks super! Have a great 4th of July!